Feature Trailer for The Mummy. Though safely entombed in a crypt deep beneath the unforgiving desert, an ancient princess whose destiny was unjustly taken from her is awakened in our current day, bringing with her malevolence grown over millennia, and terrors that defy human comprehension. The film will feature 2 Oscar Nominated Actors - Tom Cruise & Russell Crowe who are working together for the first time. The movie introduces Russell Crowe as Dr Jekyll which will set up the character for a standalone film in Universals monster universe. 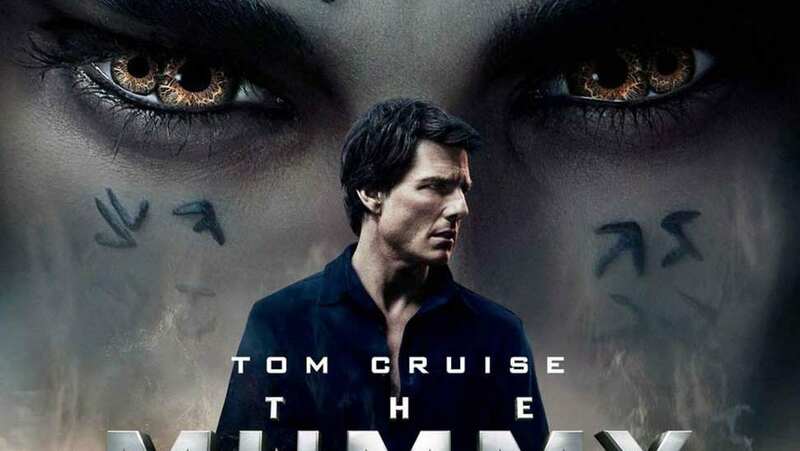 This remake of The Mummy will come out 85 years after the 1932 Boris Karloff original, 18 years after the 1999 remake of The Mummy, and 16 years after The Mummy Returns. After seeing the first Trailer, this is exactly what I expected to see here. It gives us a brief intro to the story line and then jumps into an action packed sizzle reel for the film and gives us a much netter look at Ahmanet (Sofia Boutella). If you had to compare the two Mummy actors Brendan Fraser and Tom Cruise, it is not even fair. A lot of people may not like Tom Cruise for personal reasons, but there is no doubt that he is one of the top action stars of our generation. And, we get exactly what you would expect in a Tom Cruise film, tons of action, underwater stunts and probably lots of running. I also love Sofia Boutella as the villainous Ahmanet. She was great in Star Trek Beyond and brings a perfect dangerous beauty element to the role. With all of the powers we have seen her throw at us humans, I wonder how Nick Morton (Sofia Boutella) has any chance of defeating her, which I am sure he does...lets just hope there is a great end to this wild action ride.